CM Storm, of the Cooler Master Group, unleashes a truly magnificent feat of engineering into an arena that represents the future of warfare; the Trooper full-tower chassis. Capable of lightning fast redeployment, it’s the first in its class to include an ultra-strong carrying handle; allowing a gamer to travel with the finest system configurations available with relative ease. 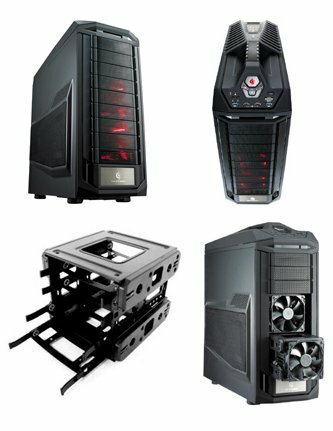 CM Storm Trooper includes features that are most coveted by gaming enthusiasts in that it has full dust filter coverage, a fan controller, an external SSD drive hot-swap dock and two uniquely designed modular hard drive cages. These features give CM Storm Trooper the ability to adapt to workstation or water-cooled gaming configurations easily.